Peter Leopold Johannes Anton Joachim Gotthard was born in 1747 as the ninth child of Queen Maria Theresia and her husband Franz Stephan. He received the name Peter, which was very unusual for the Hapsburgs, at the desire of his godmother Elisabeth, Empress of Russia. In 1765, he not only married the Spanish princess Maria Ludovica, but also became the ruler of the Grand Duchy of Tuscany. Leopold, having a good education, enacted multiple reforms and leaded the country out of misery into prosperity. 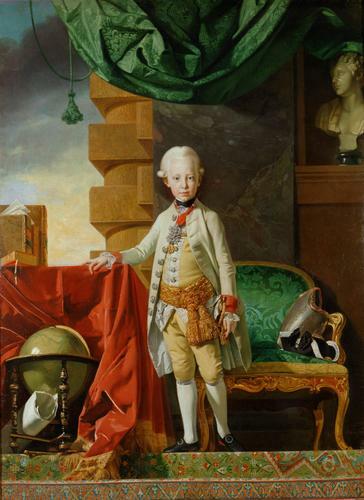 In 1790, his older brother, Joseph II Holy Roman Emperor, died surprisingly at the age of 48, he succeeded his brother and became himself the Holy Roman Emperor and ruler of all Hapsburg territories. However, two years later he died and was succeeded by his son Franz. His wife Maria Ludovica, with whom he had 16 children, only outlived him by two months. They left behind many under-age children, who then were raised by relatives. known as Ferdinand III, Grand Duke of Tuscany; married two times and had 6 children. The queen Maria Theresia of Habsburg- Lothringen was born as Maria Theresia Walburga Amalia Christina in 1717. She was the ruler of almost half Europe for over 40 years. In 1737 she married Franz Stephan Duke of Lorraine. When she was in her early twenties her father died and she became queen. Maria Theresia never received a political education, because her father wanted a boy as successor and so she had to teach everything herself . In the beginning of her reign, she was not accepted as queen by the kings of Prussia and Bavaria. The results were two wars. 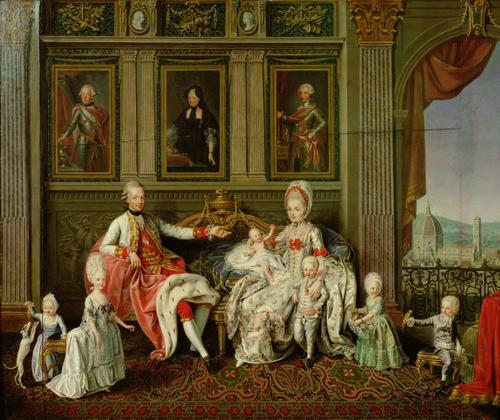 Over the course of twenty years, Maria Theresa gave birth to sixteen children, thirteen of whom survived infancy. One of her major interests was to marry off her children. She didn´t care much, if her children loved their future partner. It was only important that there is an advantage for the state. Nevertheless she was always a passionate mother, who wrote once a week letters to all her children. She was often ill, but very interested in natural science. Marianna never married and became abbess in a convent in Klagenfurt. He later became King Joseph II. His first beloved wife Isabella of Parma died after she had given birth to their first child. Joseph never wanted to marry again, but he was forced by his mother. His second wife was Maria Josepha of Bavaria. He had two children, who died in their infancy. She was the favorite daughter of Maria Theresia. Mimi was the only child, who was allowed to marry the man she loved. As a teenager she was known as the most beautiful princess in Vienna but she became ill when she was 13. Her appearance never really recovered. After her mother’s death her brother sent her to a women convent, where she staid the rest of her life. He was the favorite son of Maria Theresia and she wanted him to become the next king. Unfortunately he died after a severe illness at the age of 16. At the age of 23 she was forced to marry, the only 17 year old, Ferdinand of Parma against her will. In this time she was in love with a young prince, but her mother regarded him as too politically insignificant for marriage. She was the only child, who broke off the contact with Maria Theresia. She had 7 children. The name Peter, which is very unusual for the Habsburgs, was requested by his godmother Elisabeth of Russia. At first he was only duke of the Toscana, but after Joseph II death, he became emperor of Austria. In 1765 he married Maria Ludovica, the daughter of the Spanish king Karl III. They had 16 children together. She was the only daughter, who didn´t receive the name Maria, because her godfather was protestant. Johanna died at the age of 12 because of smallpox. Before her early death she was engaged to Ferdinand I of the Two Sicilies. 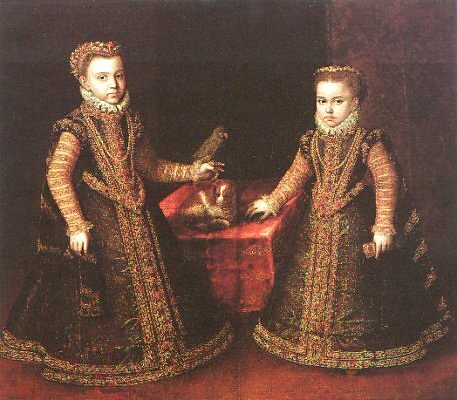 She died soon after her sister Johanna Gabriele at the age of 11. After her sister’s death her mother engaged her to Ferdinand I. 1768 she had to marry Ferdinand I. She didn´t love her husband, but accepted her situation. As queen of Sicily and Parma she had a great influence in politics. They had 18 children. At the age of 17 he married Maria Beatrice d´Este. They had 8 children. She was married at the age of 15 to the French dauphin. When she was 19 she became Queen Marie Antoinette of France. She was very unhappy with her situation. The queen had 4 children, three of them died before their 10th birthday. She was killed in 1793 at the age of 39 because of the French Revolution. His mother chose the clerical carrier for him, when he was a child. Max later became archbishop of Cologne.